Just over a half-century ago, the physicist Steven Weinberg published a seminal paper titled “A Model of Leptons in the journal Physical Review Letters.” It was just three pages long, but its contents were revolutionary: in the paper, Weinberg outlined the core of the theory now known as the Standard Model, which governs elementary particles. If this was really such a great paper, then why didn't anyone notice at the time? As you can see here, it was only cited once in 1968 (by Salam), once in 1969, and once in 1970. The paper proposed a model for electroweak interactions. It was the same as quantum electrodynamics, except that the gauge group was U(2) instead of U(1), a Higgs field was added to make the weak force short range, and no one knew how to cancel the infinities. The idea of using U(2) for weak/electroweak was due to Schwinger and Glashow in 1961, and the idea of using a Higgs was due to Higgs and others in 1964. A scheme for canceling infinities in a gauge theory was published by 'tHooft in 1970. So Weinberg's paper was no big deal at the time. It did not solve any physical problem. It wasn't much of a theory, because he had no way of computing anything. By 2015, it had 9289 citations, no. 2 on the list. I am not trying to put down Weinberg, but he and Salam lucked into that Nobel prize. 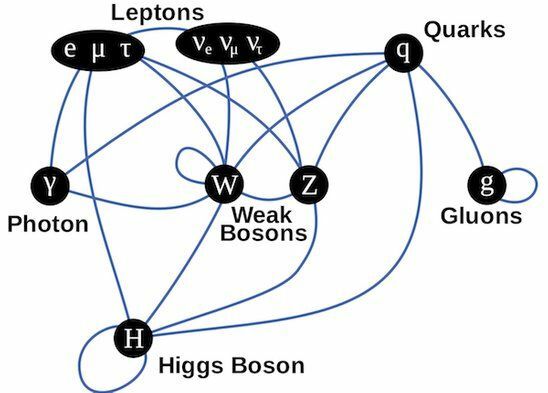 The works of Higgs and 'tHooft were more essential to creating the Standard Model. I guess she is saying that female physicists were unfairly deprived of Nobel prizes, but maybe they were too pretty, or taking care of babies instead of finishing a PhD. Mr. Multiverse is never giving up.